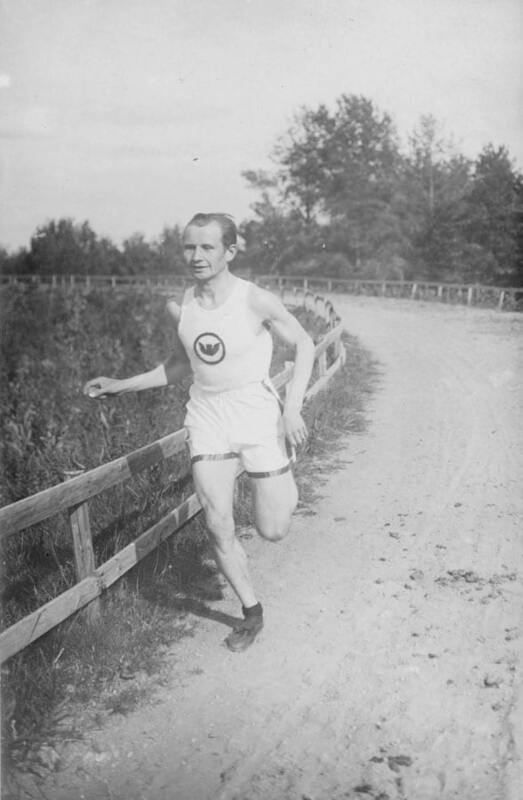 Hannes Kolehmainen heralded the golden era of Finnish long-distance running with his three gold medals at the 1912 Olympic Games in Stockholm. Kolehmainen’s most memorable feat in Stockholm was winning the 5000-metre final with a new world record time of 14:36.6 in a neck-to-neck duel with Jean Bouin of France. He also won gold medals in 10,000 metres and the individual cross-country race. The Olympic victories of Kolehmainen and other Finnish athletes fuelled Finland’s struggle for national self-determination; Finland was still part of the Russian Empire at the time. After his Olympic triumphs in Stockholm Kolehmainen emigrated to the United States. “The Smiling Finn” dominated track meets and street races in America in the 1910’s. In 1920 he came back to represent Finland, by then an independent country, at the 1920 Antwerp Olympic Games and won gold in the marathon.